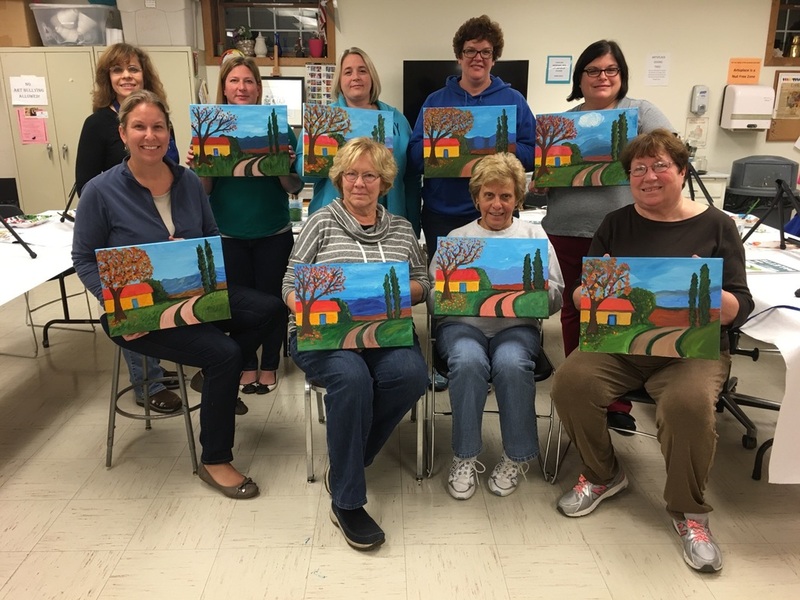 Join us for a fun night out as we paint together! as we paint a colorful acrylic painting. those who with some experience that want a review. make some new friends. Ages 10 to Adults. 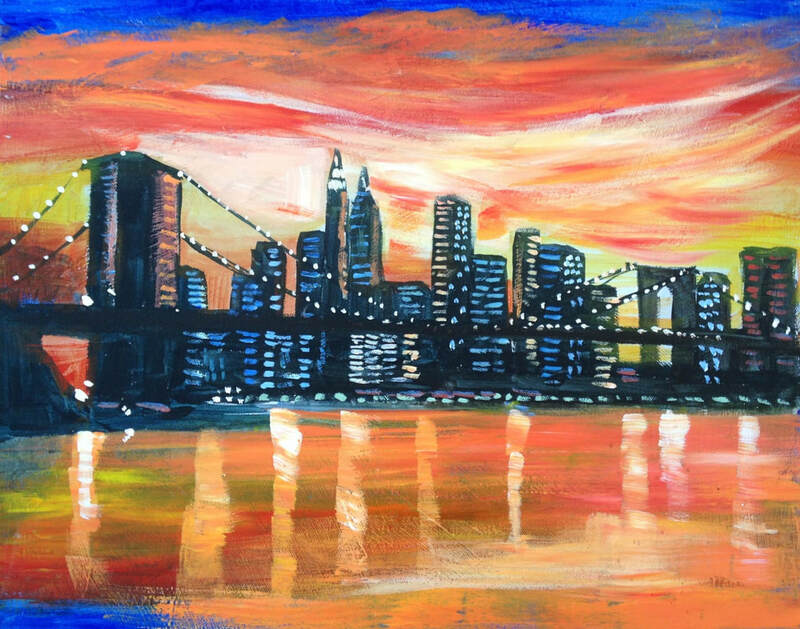 Create a vibrant sunset over the New York skyline - with reflections and twinkling lights. 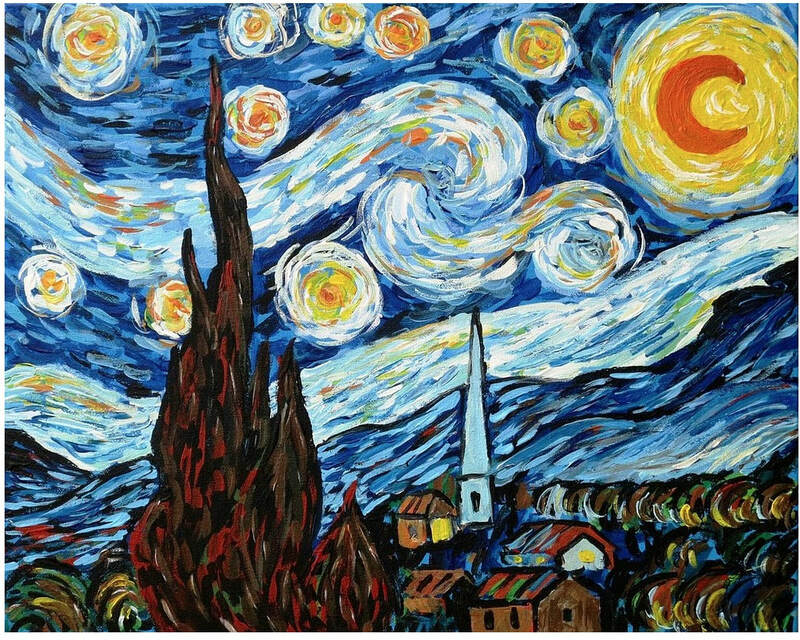 Get inspired by the famous Vincent Van Gogh's painting Starry Night -and if you choose, add a few Cheshire landmarks to your painting! Have fun and be creative! 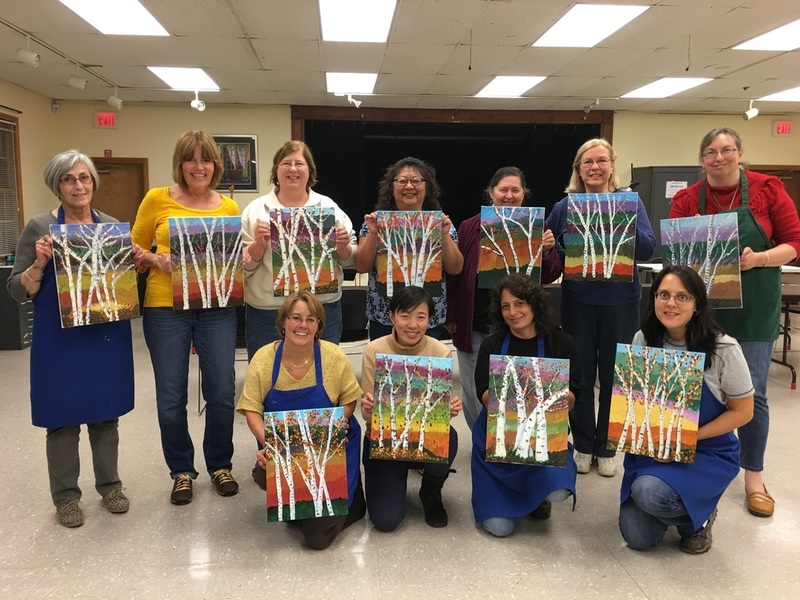 Back by popular demand - Join us as we paint the colors of Autumn in this beautiful landscape scene with white birch trees. 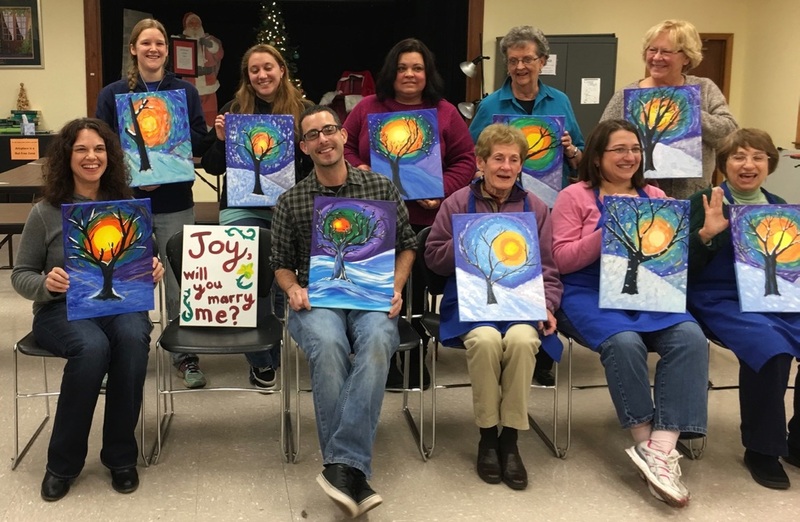 Another favorite and loved by many - Let your creativity go as you swirl up a colorful winter storm! ** to register online you need to set up an account on the town of Cheshire Website first. Non-residents and residents can create an account - it 's easy and free.